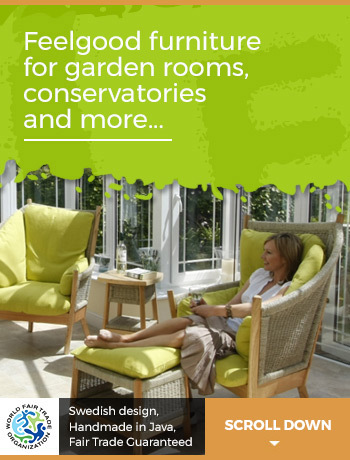 Comfy furniture for garden rooms, orangeries and other living spaces. Why not come and try the furniture in our Salisbury Showroom, or in other locations throughout the U.K.? 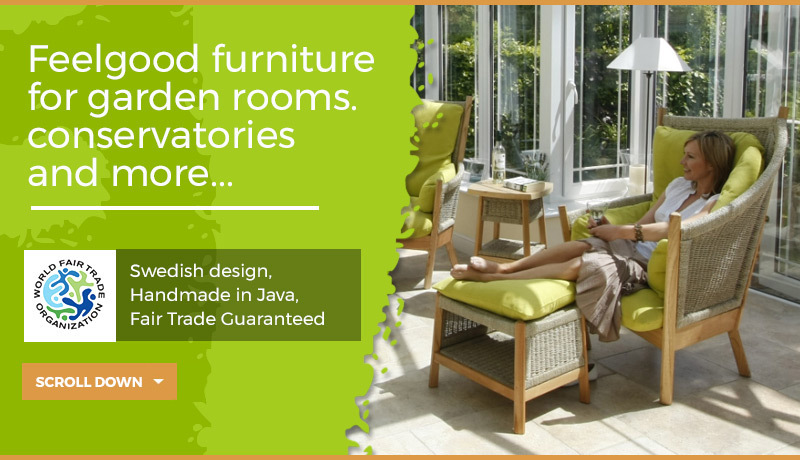 Our tsantai™ collection – created by Swedish designer Tord Kjellstrom – offers unique ‘feel-good’ conservatory furniture for garden rooms, conservatories, open-plan living spaces and many other situations. 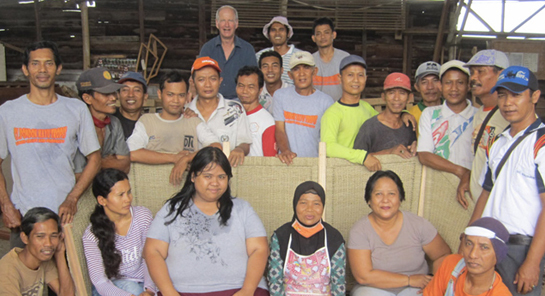 We are the only furniture company in Europe who are guaranteed and independently verified by the World Fair Trade Organisation. So you can be sure you and our producer partners are all getting a fair deal. Visit our showroom in Salisbury, or come to one of the many shows we visit each spring and summer. We also have retail and display partners where you can see our best-selling ranges all year-round. We have 6 ranges each with their own personality. Semarang and Jogya both feature an asymmetrical chair concept, high on one side to create a cosy corner. Jepara is our low-backed modular range, Kartosuro an under-stated modern classic, and Bantul our neat and petite range. Our innovative Semarang Dining range completes the collection. This furniture is extremely comfortable, but that is hard to convey in pictures, so we very much encourage you to come and try for yourselves. Hence our cheesy mantra… Sitting is believing! You can see the whole collection in our Salisbury showroom – make a day of it, and we will point you in the direction of the beauties and secret corners of Salisbury. Click here for contact details. Enjoy a day-out at one of the 15 or more shows we exhibit at during the spring and summer. Be it home interiors, gardening, horse events, or countryside shows we think you will find something to appeal. We have retail partners in the South West and the Midlands, and other display partners in various parts of the country, where you can go to see and try our best-selling ranges.